The failure to launch millennial, who gained international notoriety when his parents took him to court last week to evict him, has finally done what many say he should have done years ago. He has started to move out. 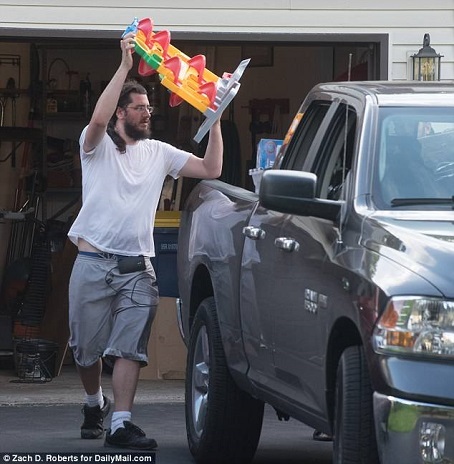 Michael Rotondo, 30, has until noon on Friday to leave his parents' four-bedroom home in Camillus, New York, a quiet commuter town just west of Syracuse. Now on the eve of his court ordered departure he has told DailyMail.com that he has bagged up most of the belongings he has accumulated over his eight-year, rent-free, tenure in his parents' home. At around 6.45pm Thursday a grey Ram truck pulled into the driveway and backed up to the property's double garage doors. 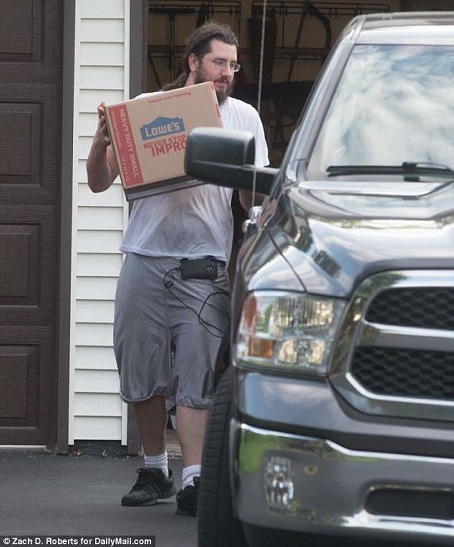 While Rotondo secured boxes with packing tape his cousin Anthony Mastropool began loading them into the back of his truck. 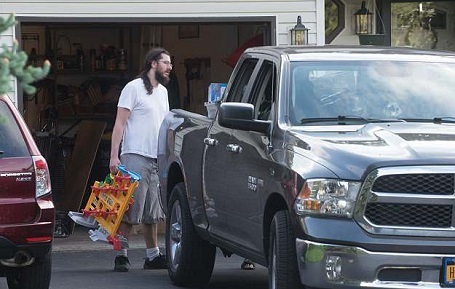 Rotondo's father Mark moved between the house and his own car which he had driven onto the lawn to allow Mastropool access to the garage, but the men neither looked at each other nor exchanged words. Rotondo and Mastropool trudged silently between garage and truck. They heaved bags of clothes, speakers, a lacrosse stick, pictures, books, a pair of loose boots, a shoe rack, work tools and, suprisingly, a sewing machine into the truck's flatbed. Most notable though were all the toys - boxes loaded high, brimmed with toy trucks, LEGOs and puzzles. These all belonged to his eight-year-old son, Rotondo explained. 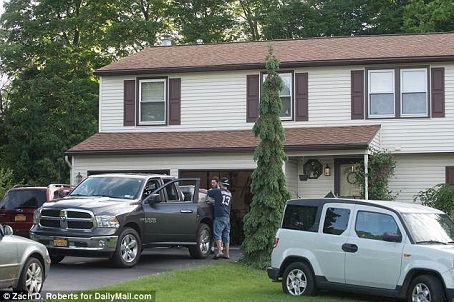 Earlier in the day Rotondo spoke exclusively with DailyMail.com and blamed his parents' 'refusal' to support his bid for custody of his eight-year-old son for the downward spiral in their relationship that ended with the court order for his eviction.